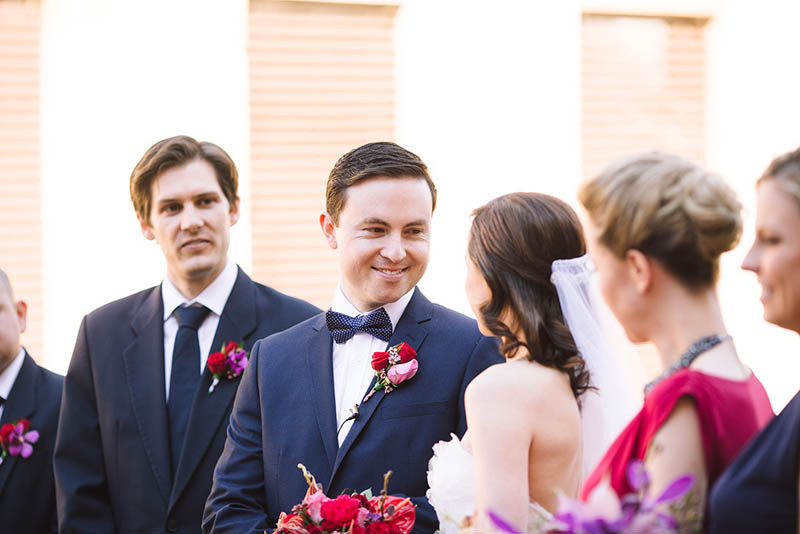 After briefly meeting on a night out, Jamie basically Facebook stalked Katrina to convince her to go on a date with him. 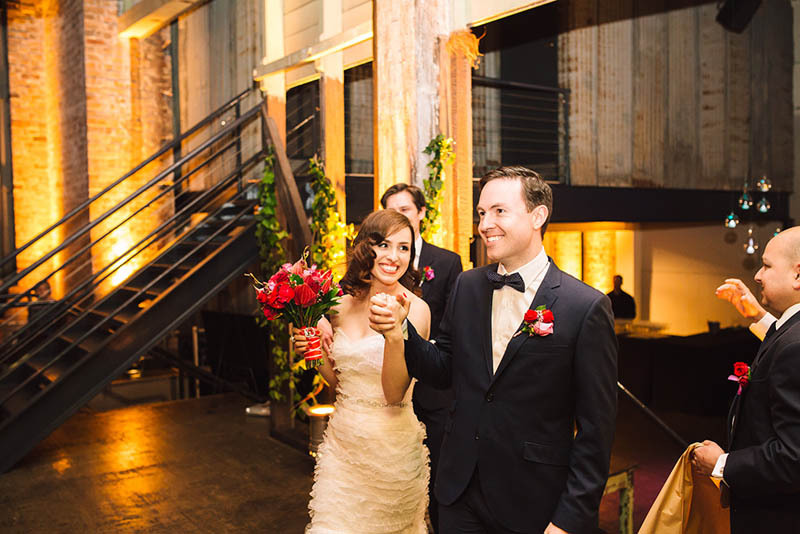 Despite initially thinking this was a little creepy, Katrina said that it was the most amazing date she’s ever been on. 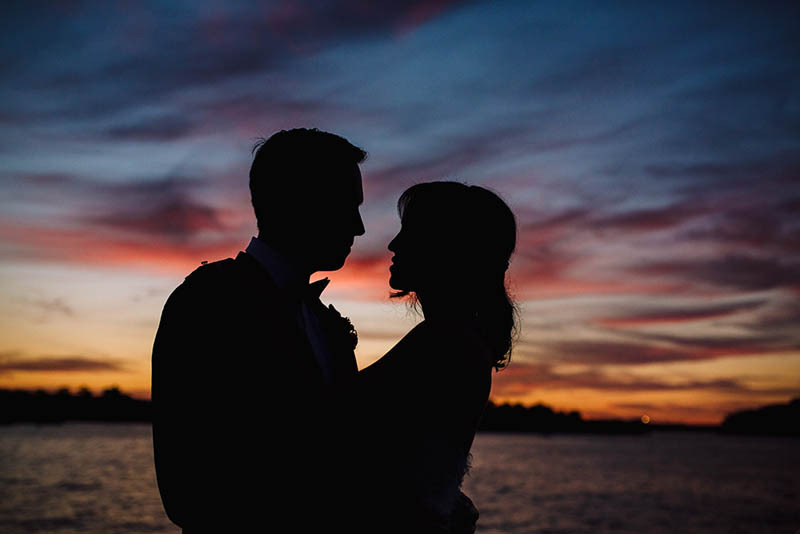 It wasn’t until the sun came up that they realised they had literally been talking all night, and they’ve been inseparable ever since. 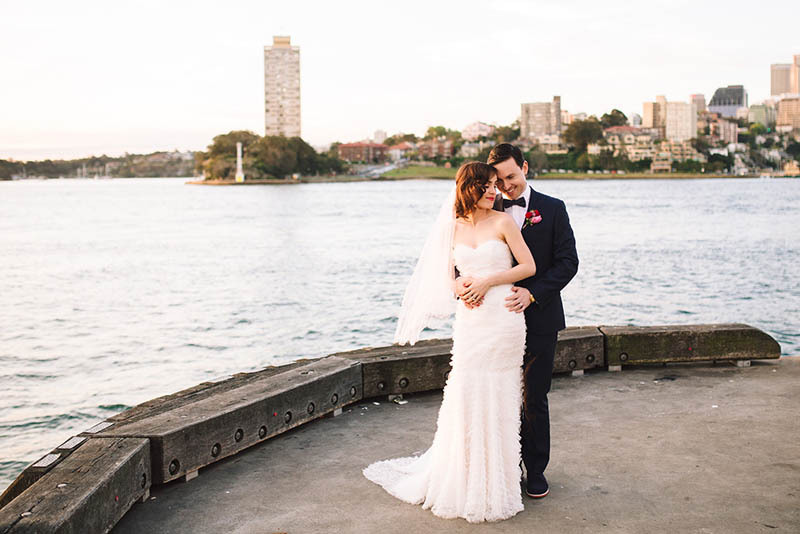 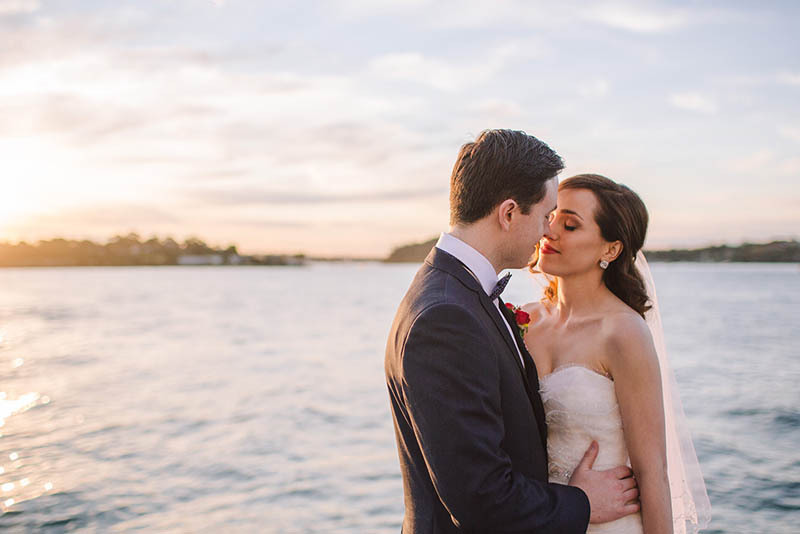 After a few botched attempts overseas, Jamie finally proposed on Balmoral Beach, a beautiful beach in Sydney with a lot of family significance for the couple. 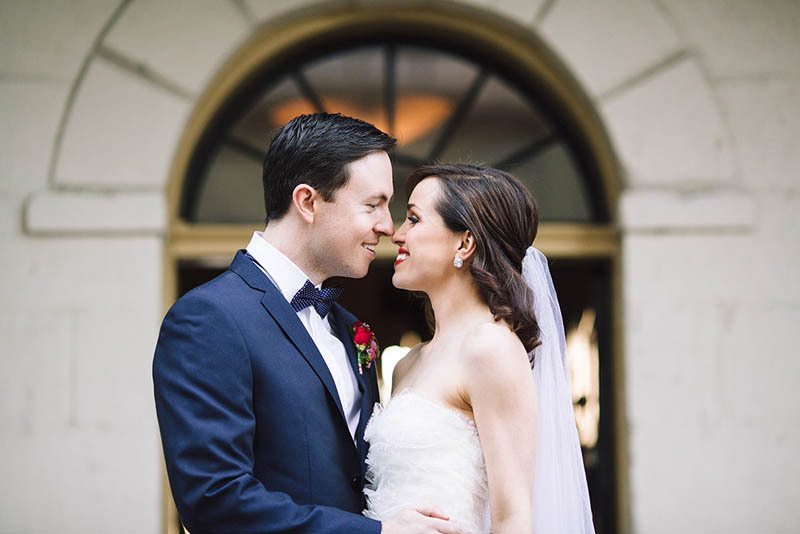 ‘We both cried like babies,’ said Katrina. 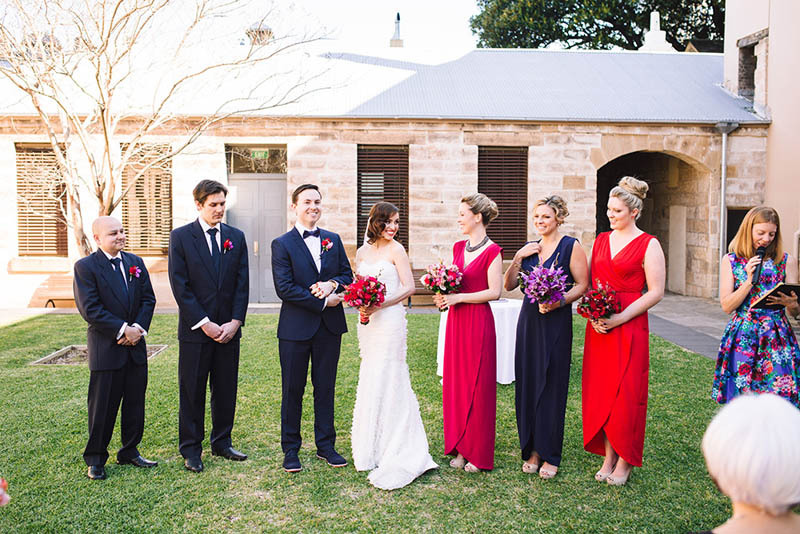 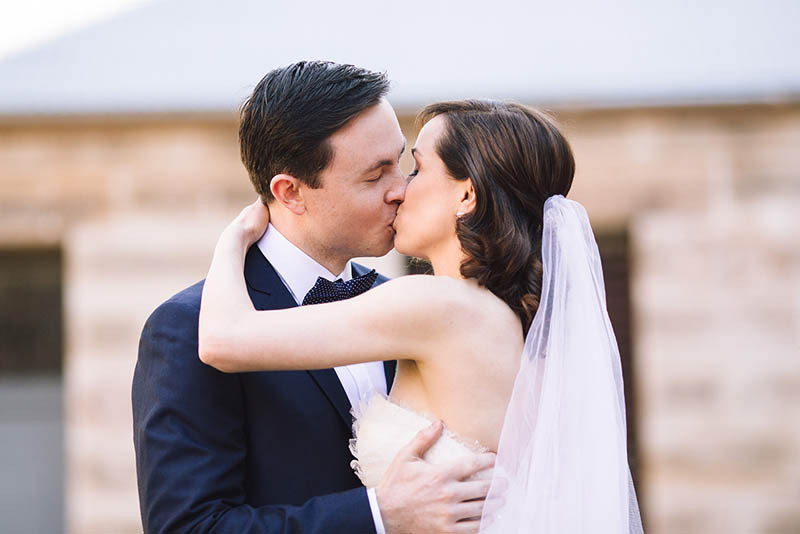 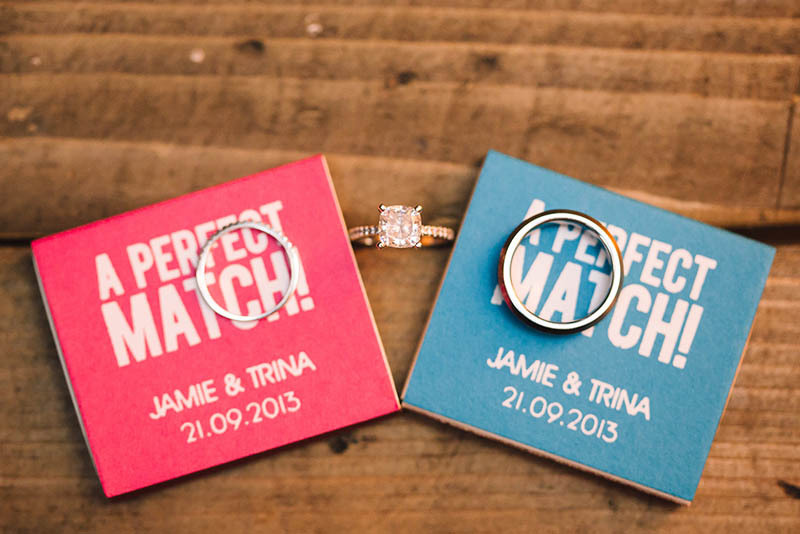 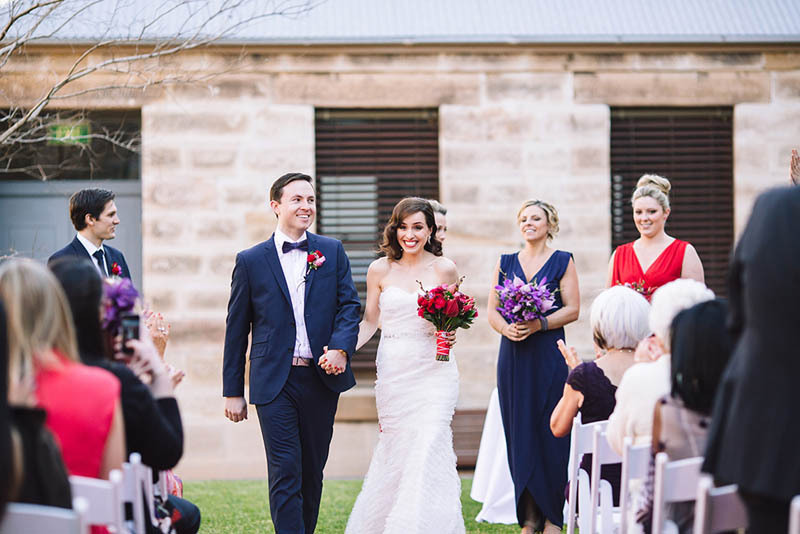 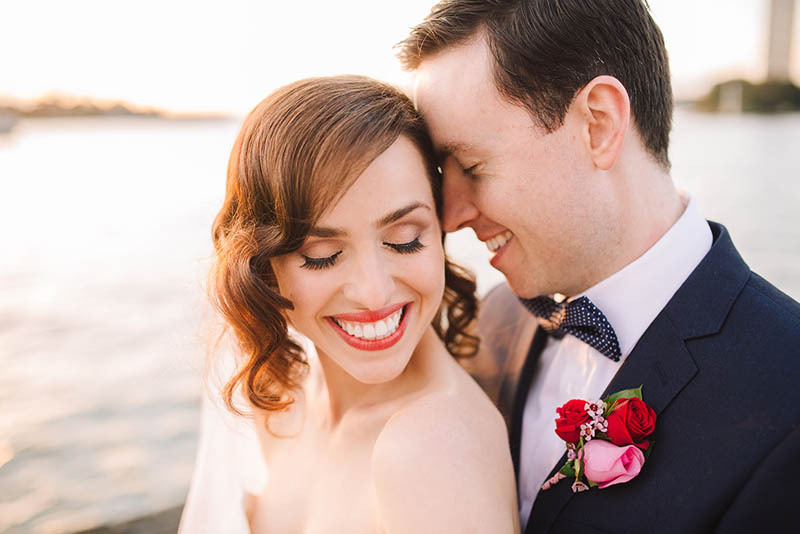 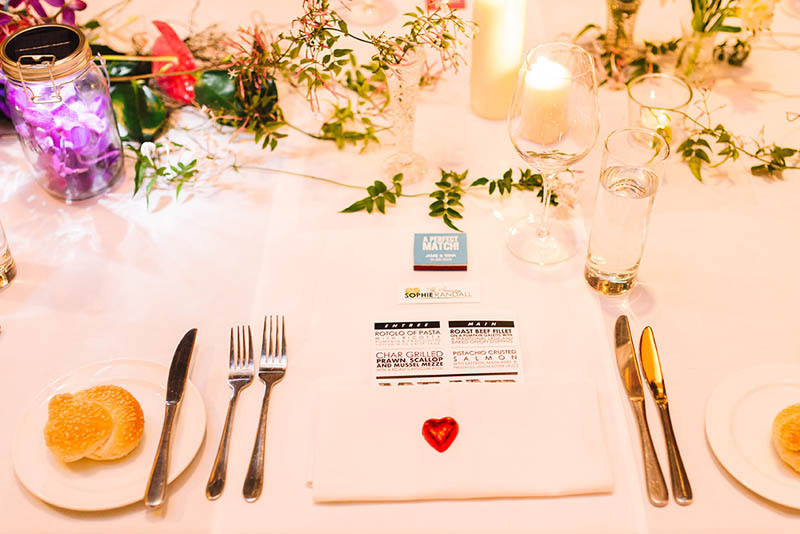 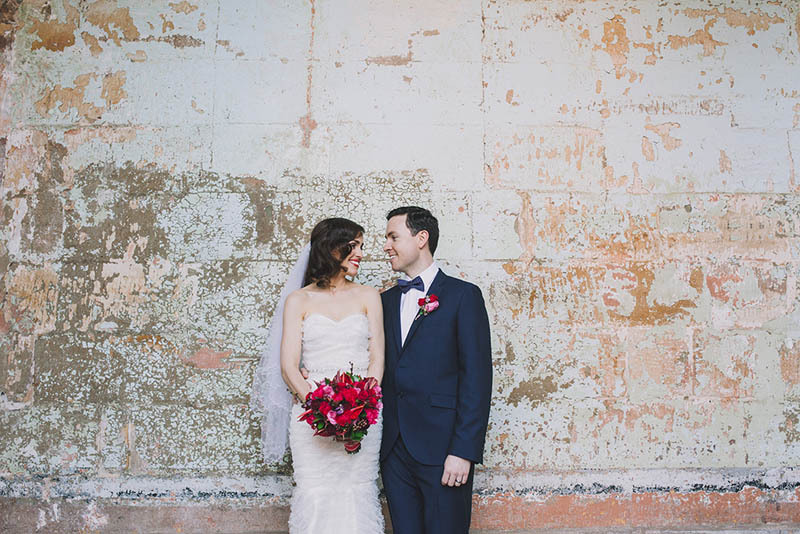 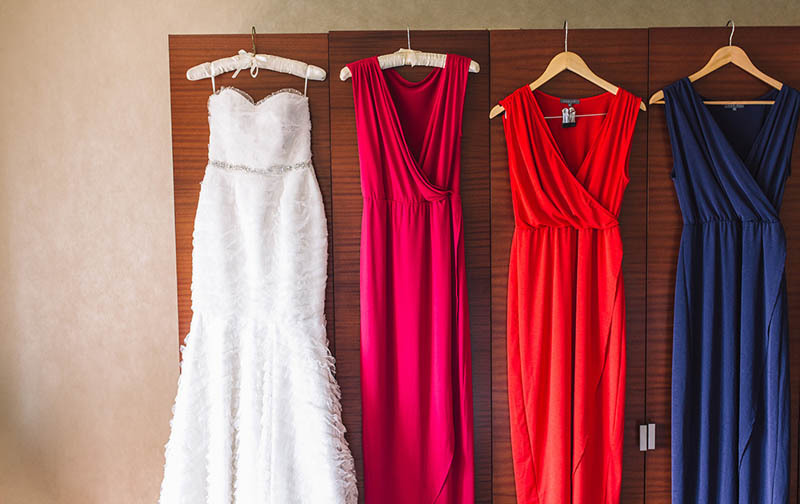 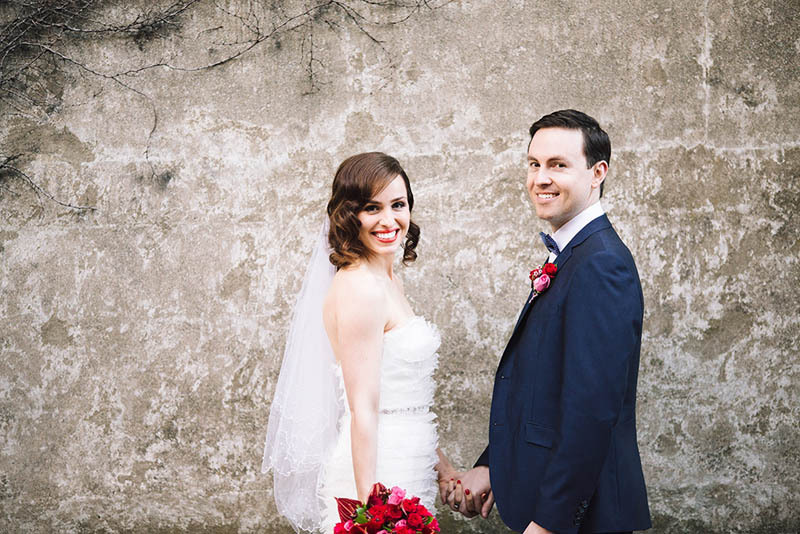 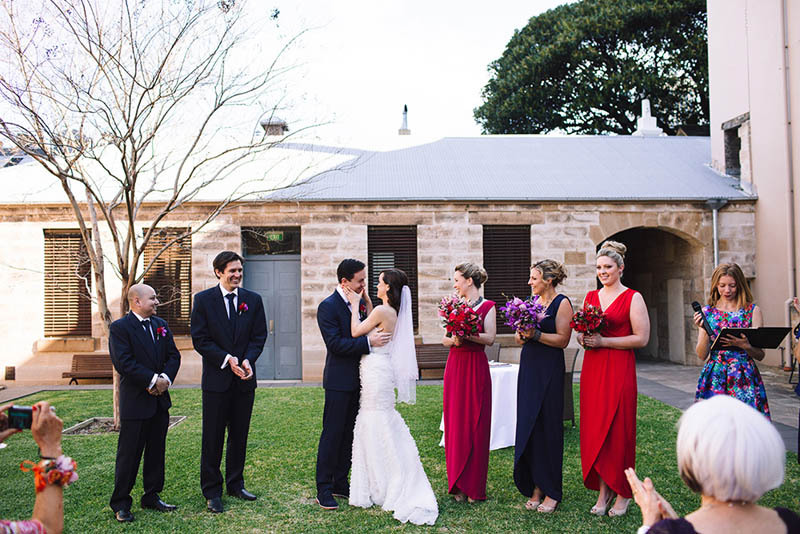 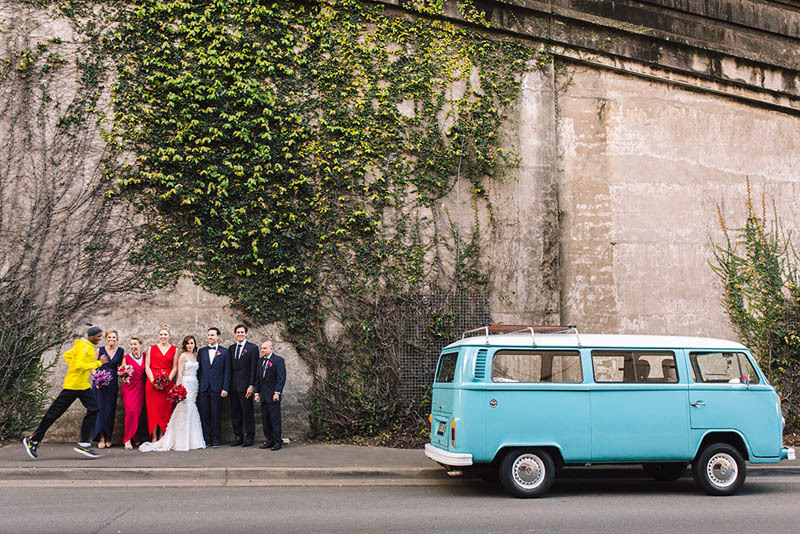 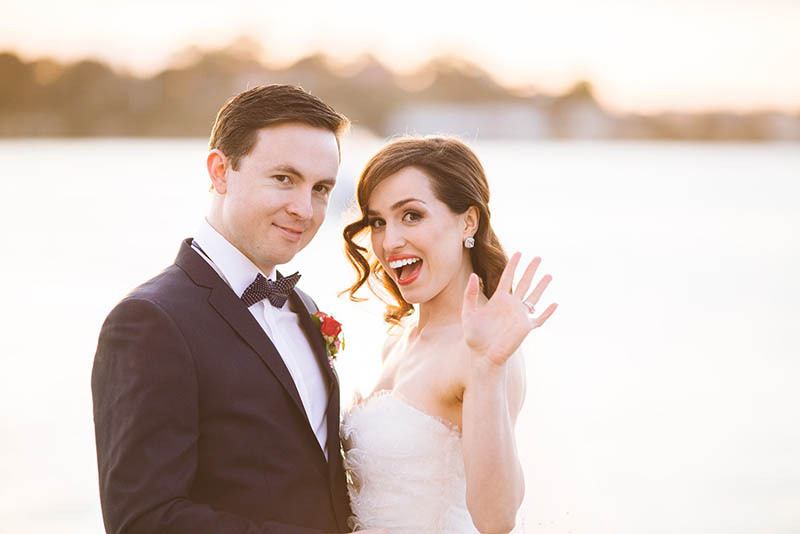 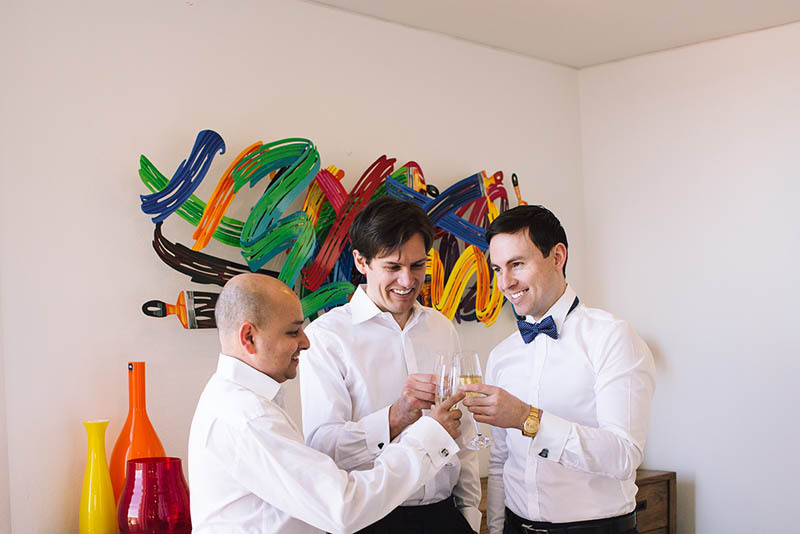 Katrina and Jamie describe their wedding as a big, fun, whimsical affair with an ‘any bright colour is a good colour’ colour palette. 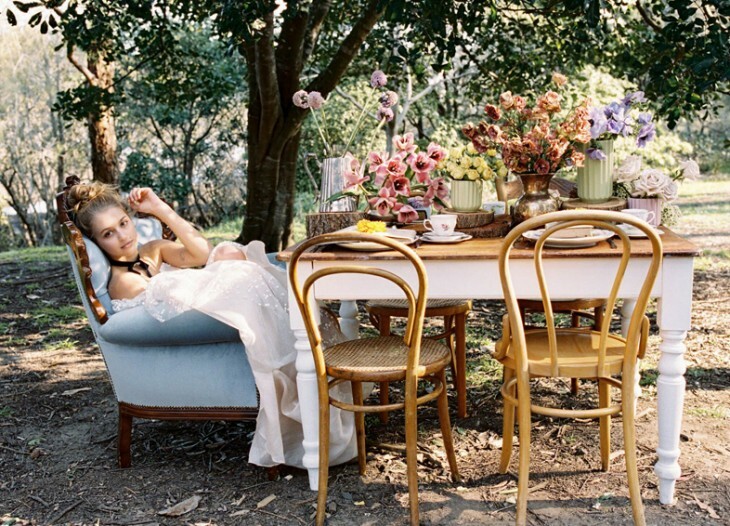 ‘I like to call it a relaxed version of classic – colourful, floral and romantic, with just a touch of Star Wars,’ said Katrina. 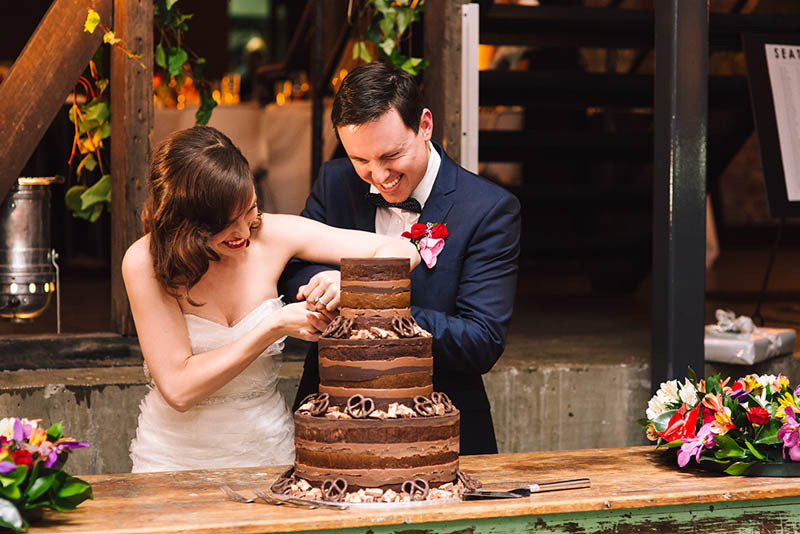 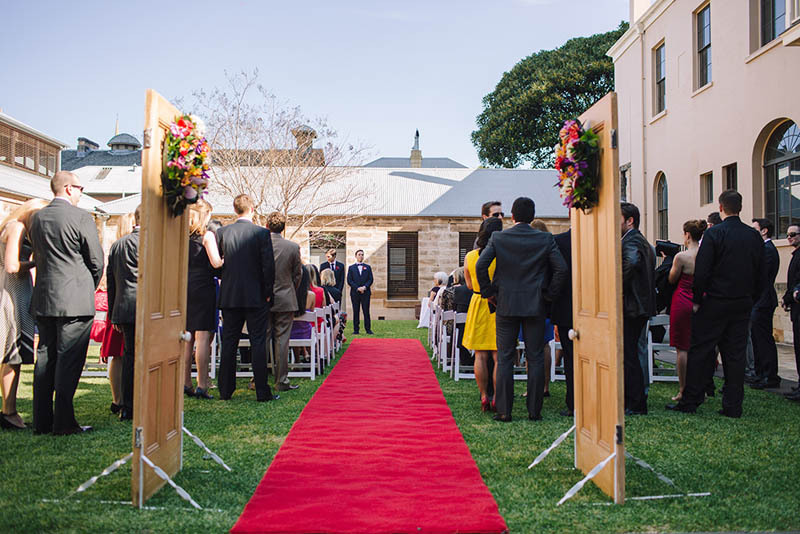 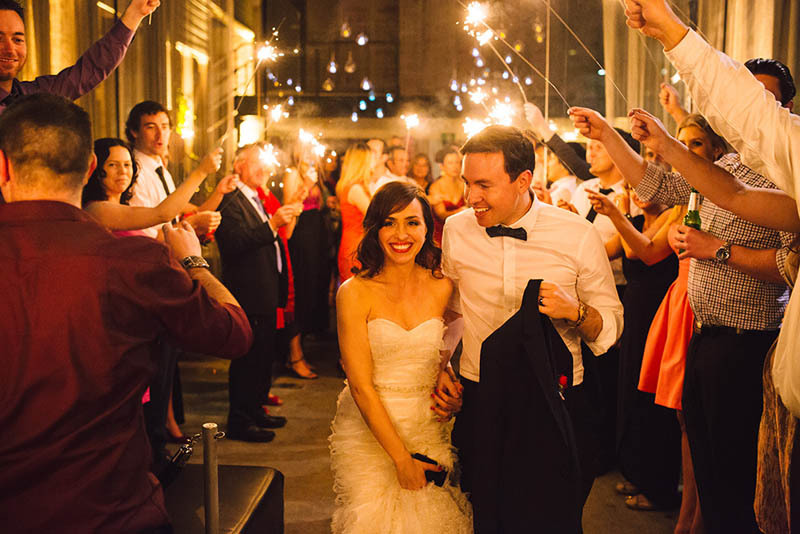 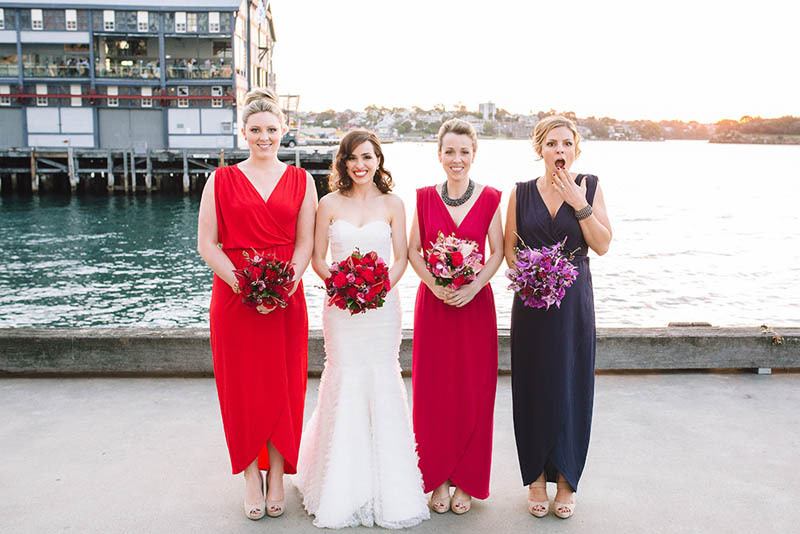 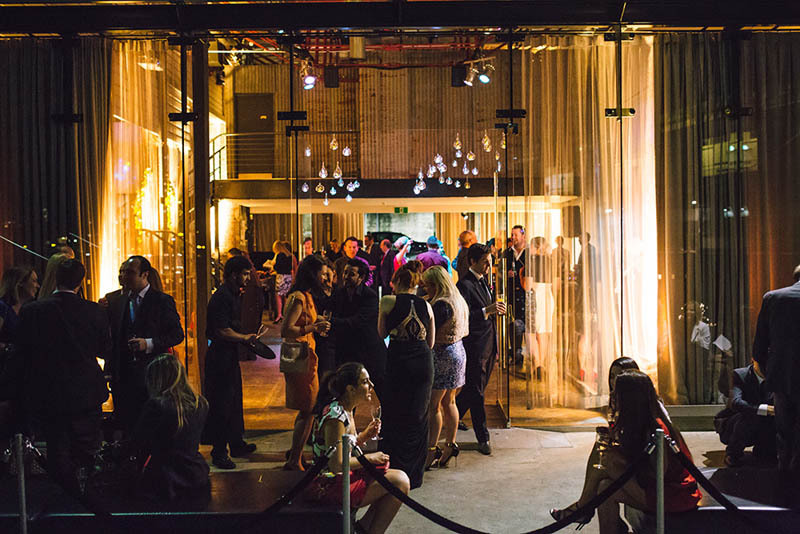 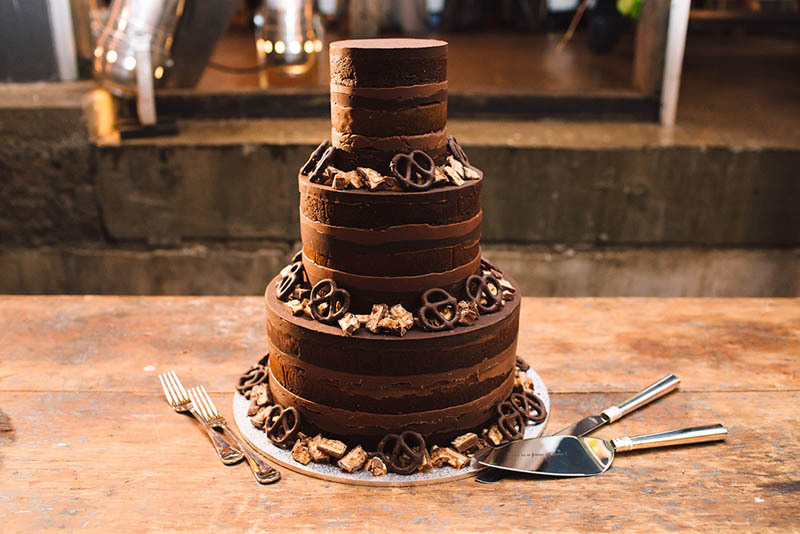 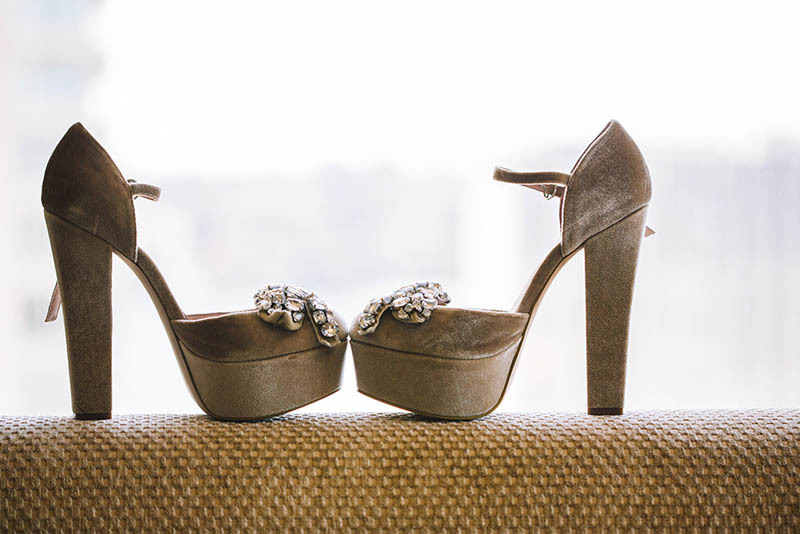 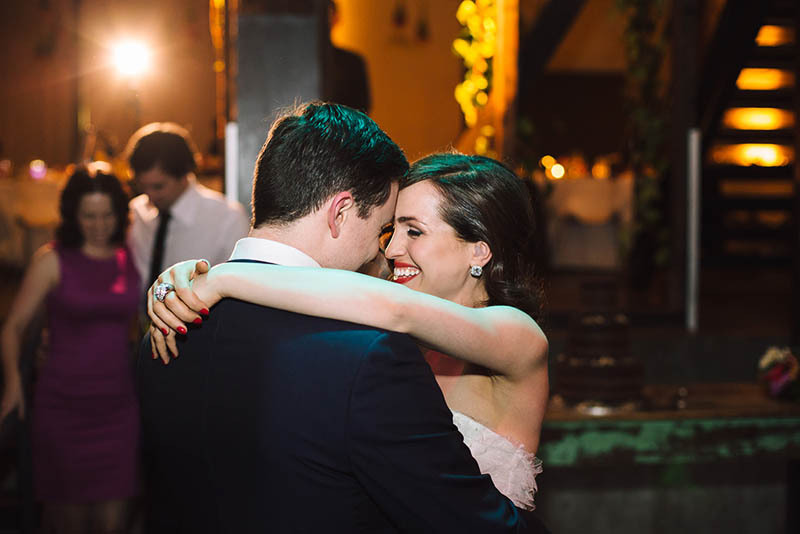 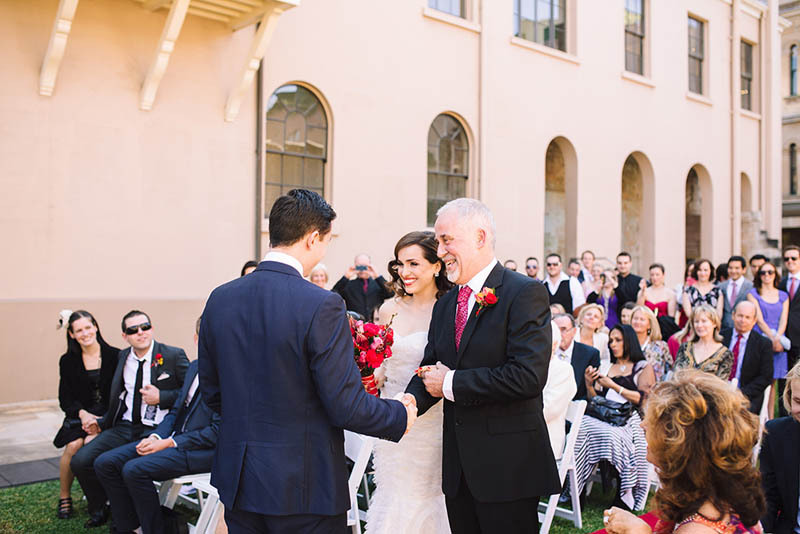 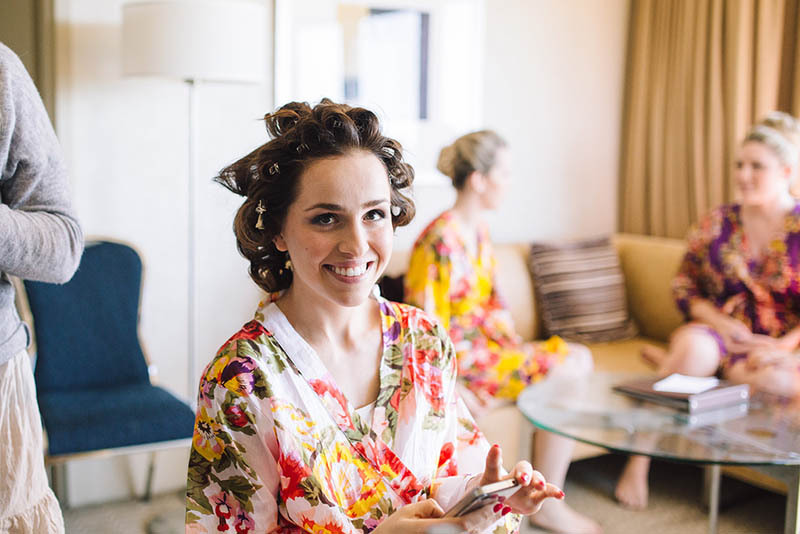 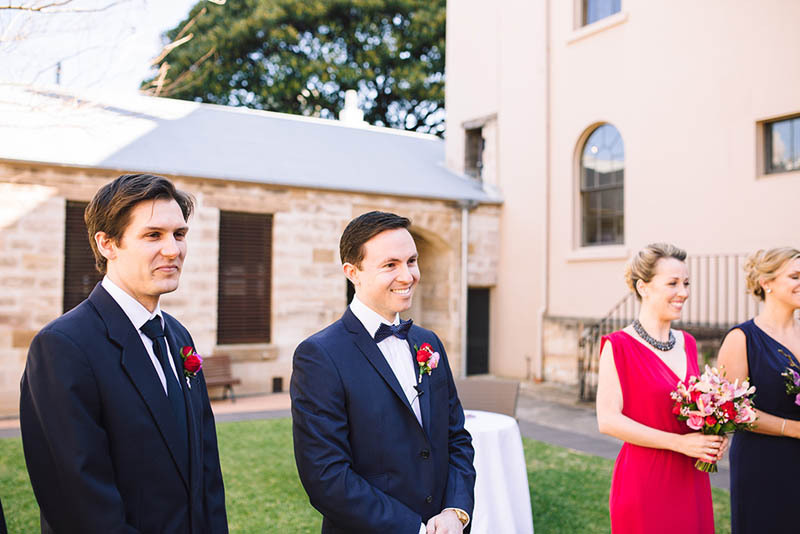 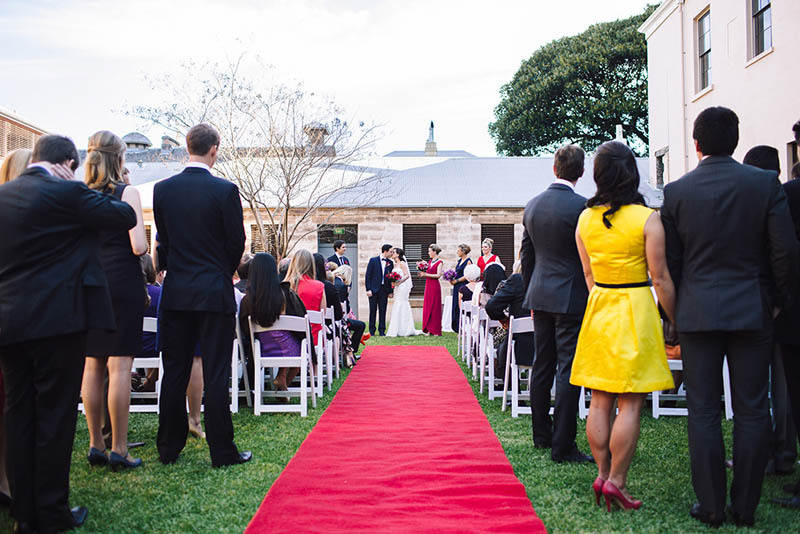 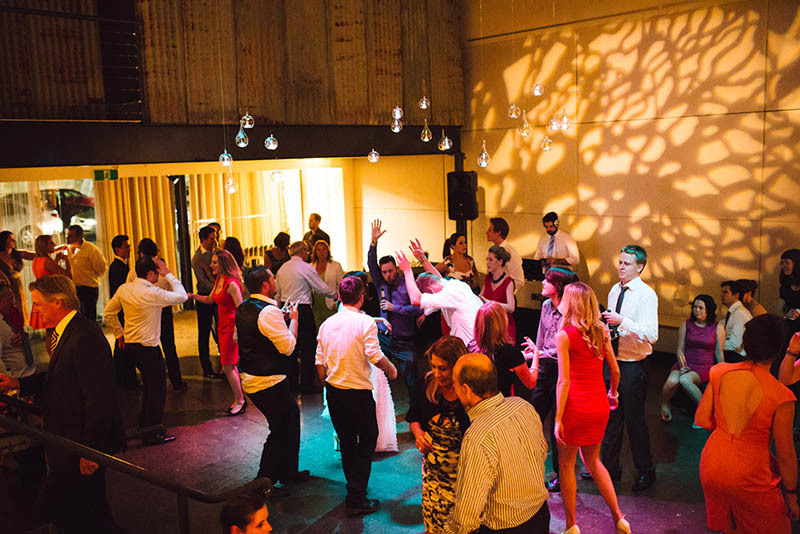 The pair chose to have their ceremony at The Mint in Sydney. 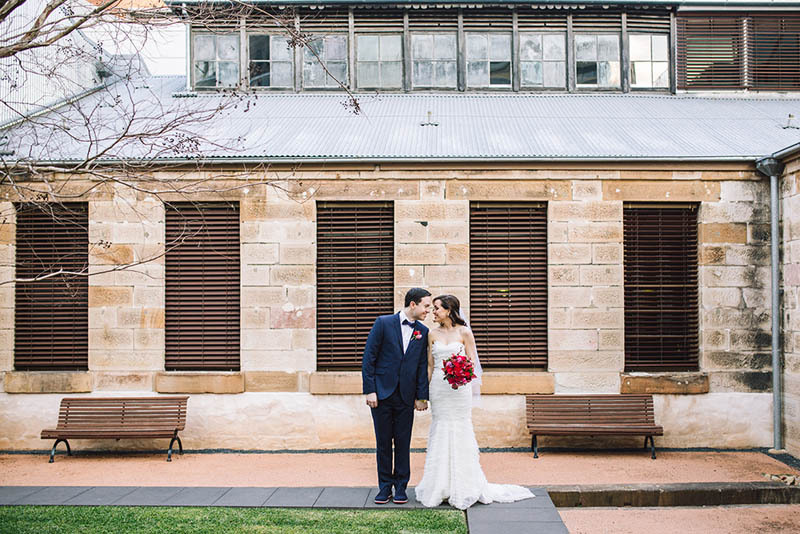 They loved its heritage feel, with lots of sandstone and wood, juxtaposed with glass and metal. 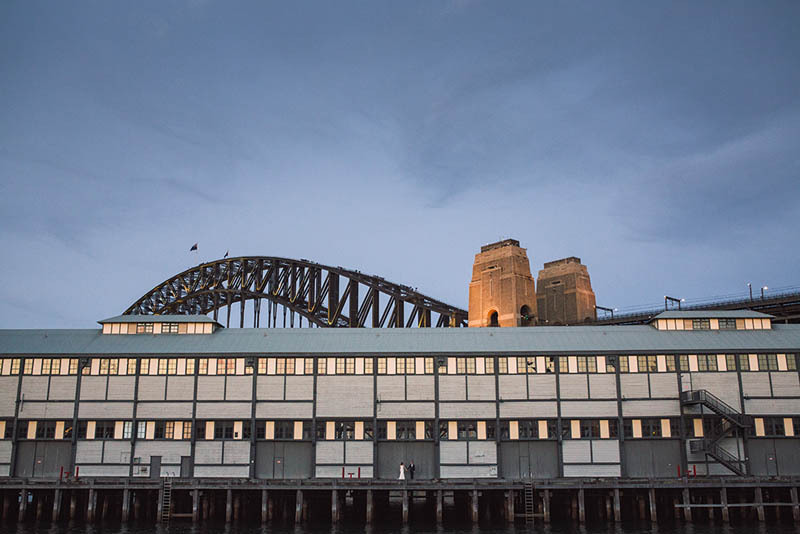 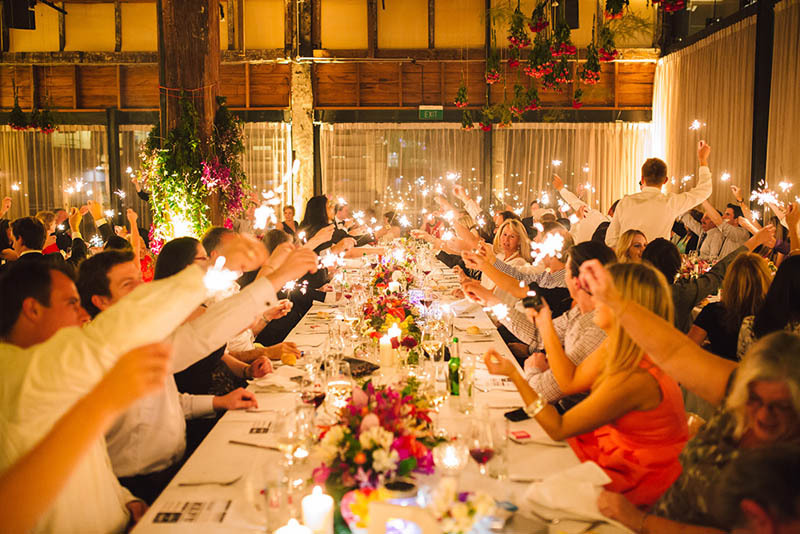 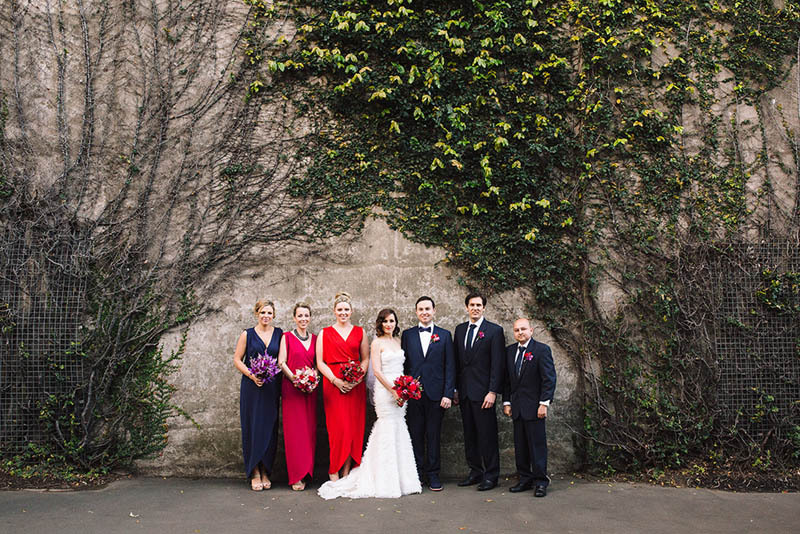 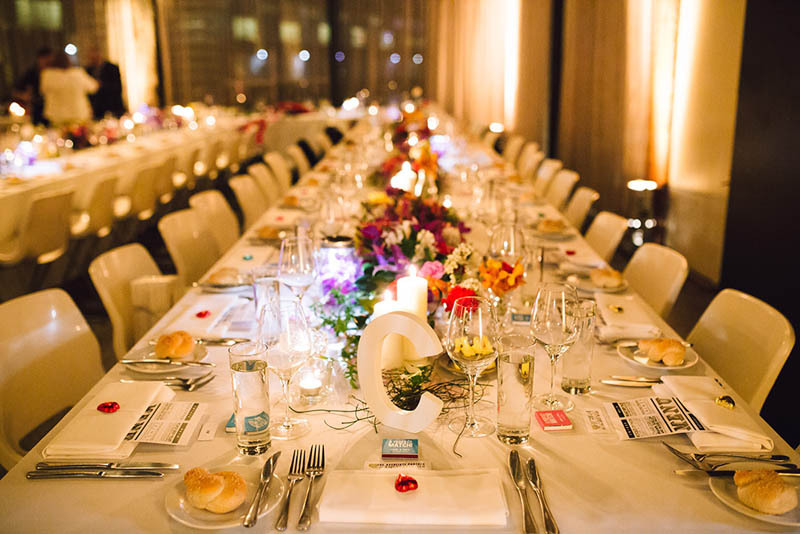 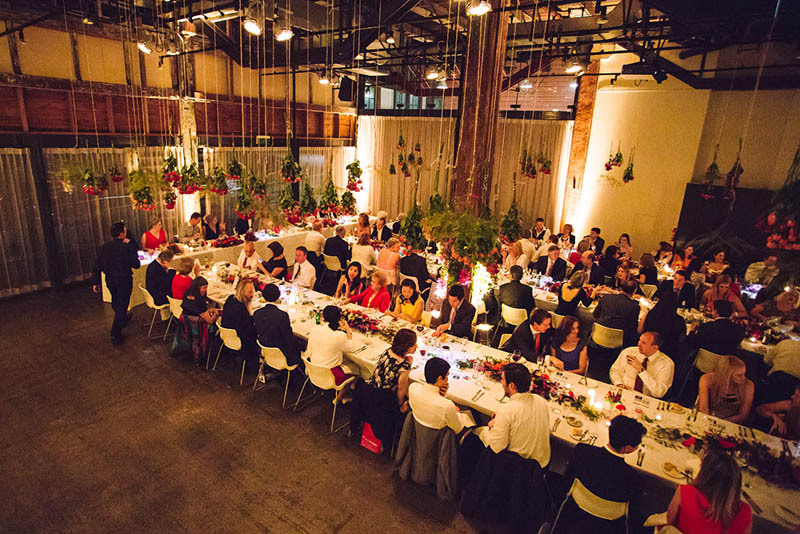 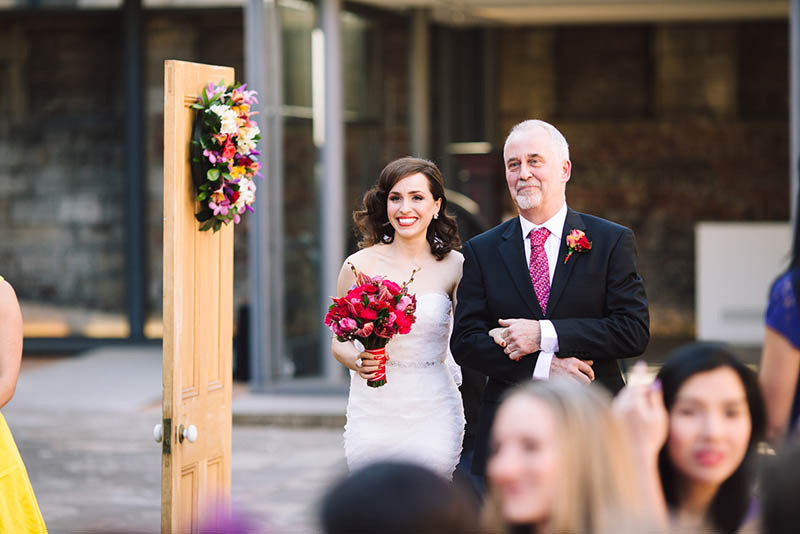 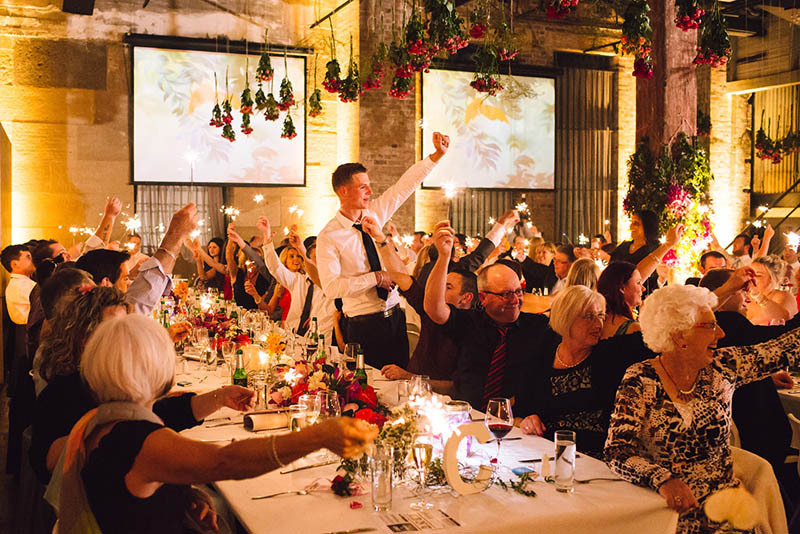 For their reception, they hired an empty warehouse, not far from the Harbour Bridge, that they completely transformed with tea lights and flowers. 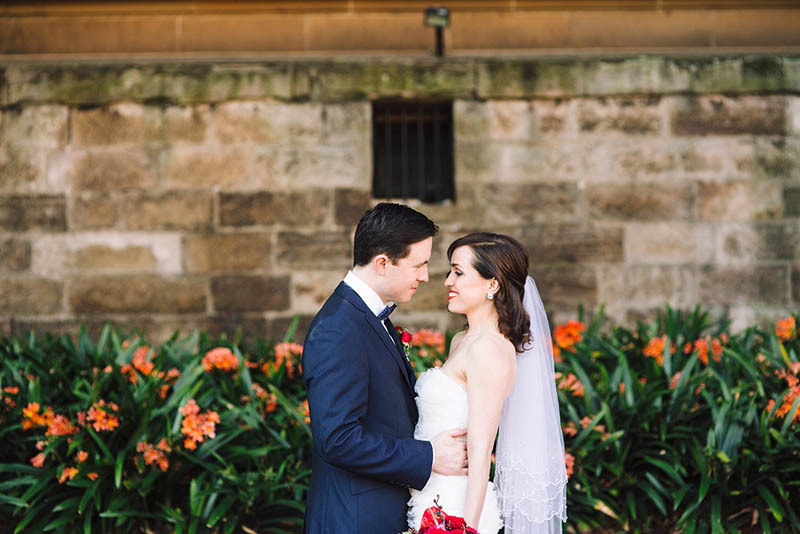 While they love them in abundance, Jamie and Katrina don’t know much about floral varieties, so they asked their florist for seasonal blooms with lots of colour and texture. 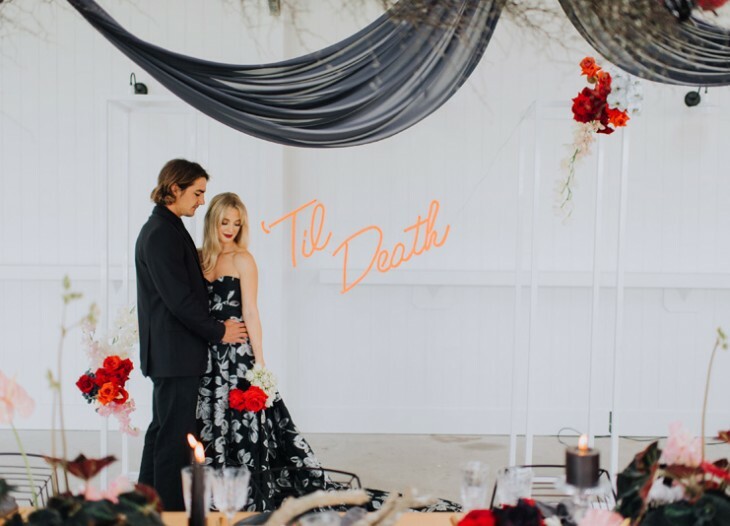 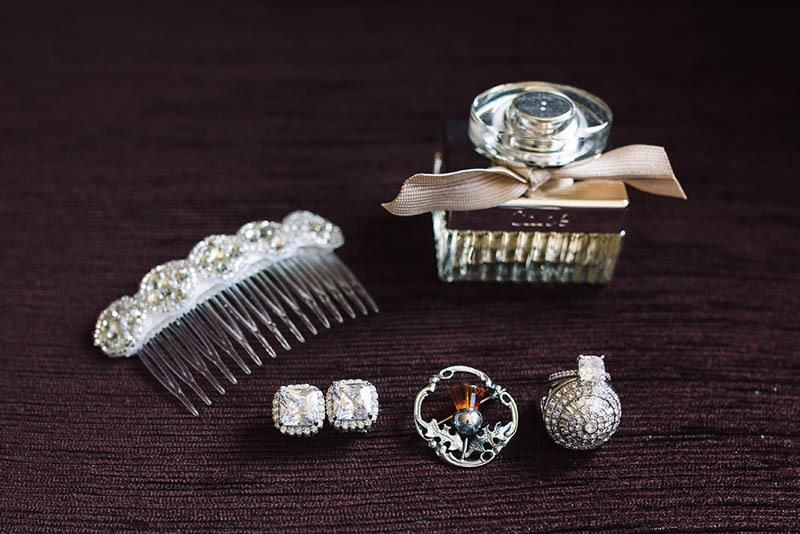 ‘Her team did an amazing job of absolutely transforming the reception space to resemble the Nutcracker “suite scene”,’ said Katrina. 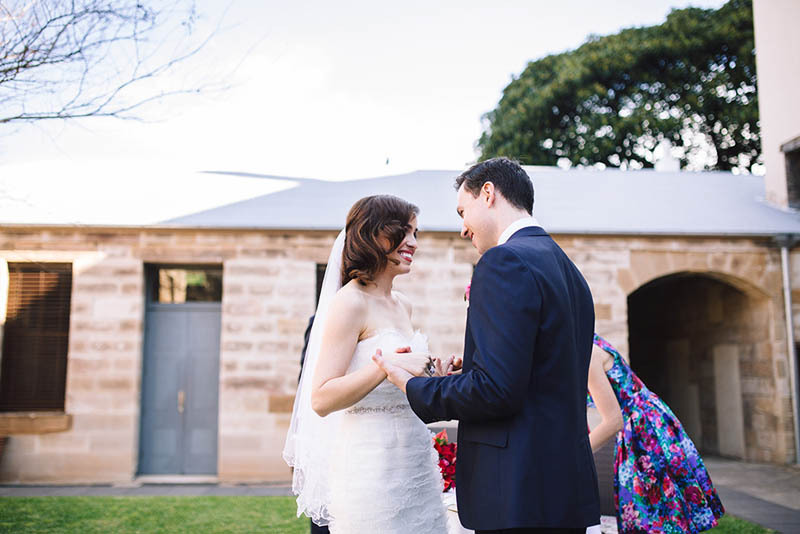 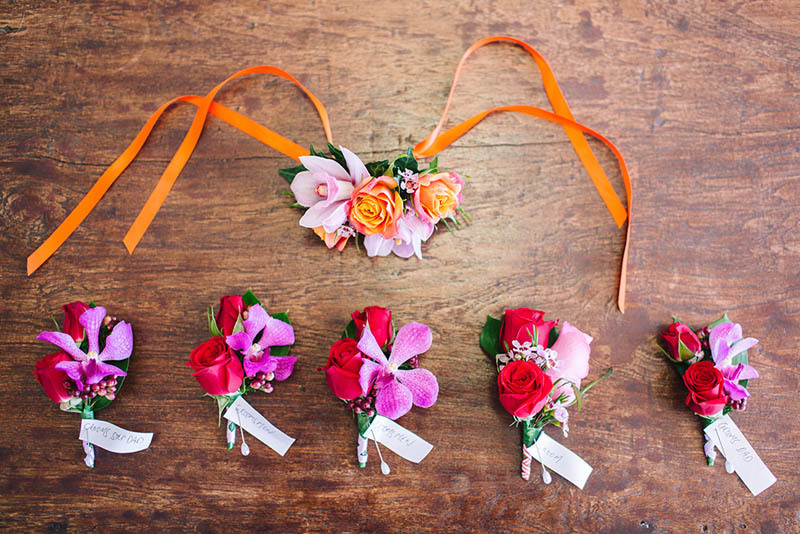 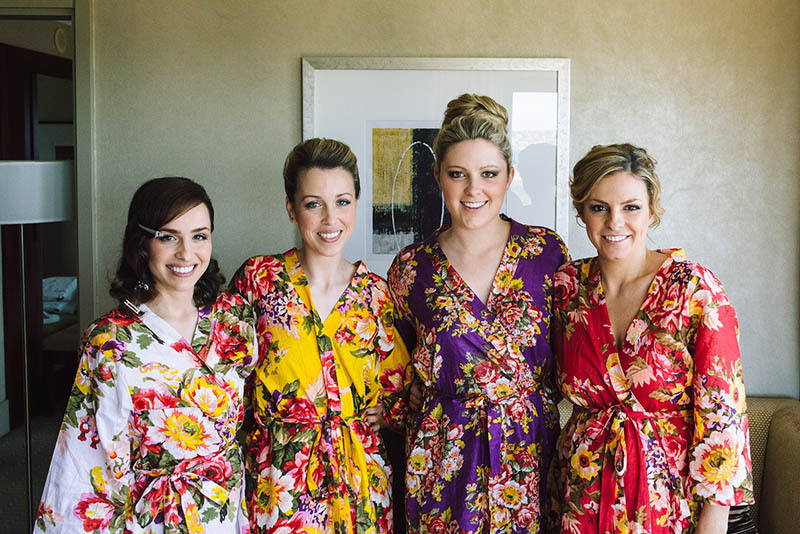 Get inspired to create your own colourful, whimsical wedding by checking out Katrina and Jamie’s wedding below.